Manchester United’s Paul Pogba, has said he needs more time to adapt to life in England and claims he responds to criticism by dancing. The France midfielder, who cost United a world record £89.3 million this summer, has made an unconvincing start to his Premier League career. 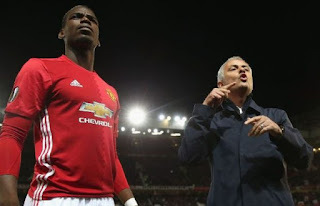 Pogba has scored only once in eight appearances for the Red Devils, in their 4-1 win over Leicester City and is yet to provide an assist. He is quoted by the Independent as saying: “I will need a little time to adapt in Manchester, time for the machine to start working. I am adapting. Pogba also insisted he feels “no pressure” regarding his huge transfer fee and says he hopes to “learn a lot” from manager Jose Mourinho.